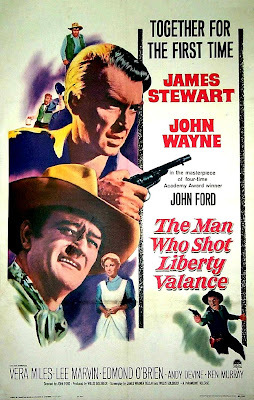 We watched “The Man Who Shot Liberty Valence” last night in my film class. The lawless “state of nature” does NOT promote private property or free enterprise. Rather, in that movie, the lawless cattle ranchers, with their power and gunslingers, were taking the property of the small farmers so they could have an “open range.” Only until law came to Shinbone and the people voted for statehood was private property protected. .... Many conservatives and libertarians believe that government, by its nature, limits human freedom. In a state of minimal government, free enterprise economics would thrive, and human beings would form in other dimensions of life an analogous self-regulating order. 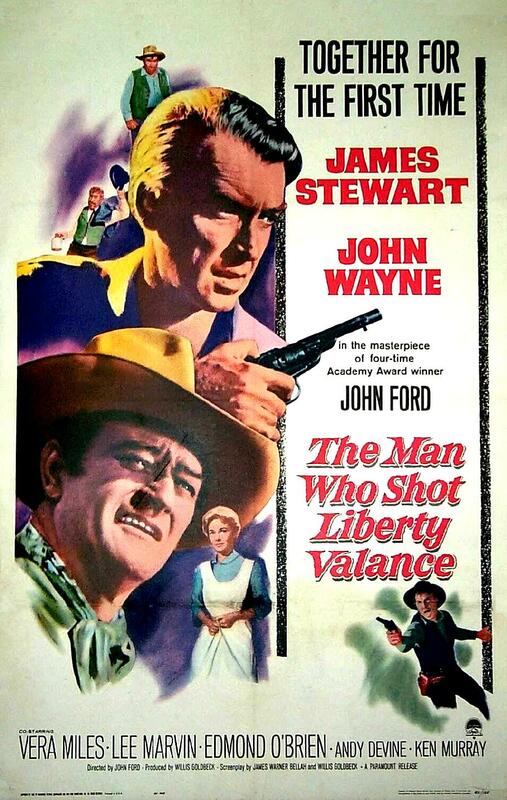 In the thought experiment that is John Ford’s movie, “Liberty” Valence may have liberty, but he is about the only one. There is no private property. When he wants to take someone’s steak, he just takes it. When the cattlemen want their cattle to graze on farms, they just cut the fences. Because the advocates of the “wild west” do not respect anyone’s private property, there is no free enterprise economics. “Shopkeepers” stand with the small farmers to work for a rule of law and statehood for the territory. The community has to stand up against Liberty Valence. Violence (cf. “valence”?) is indeed necessary to create social order. Liberty Valence has to be shot. And those who can stand up against him, like Tom Donophan (John Wayne), ironically, also have no place in the new civilized order.